Highest Rated Sectors: Did Analyst Get It Right ? What are we looking at here ? The most popular S&P 1500 groups. The table is self explanatory, so i will just point out few interesting things. The first column is the list of sectors most recommended by the Wall Street Analyst. The sixth column gives the overall percentage of buy recommendation. The last column is the stock that is most favored in that particular sector. As you can see Contruction Materials topped the table with 61.1% buy recommendation. Analyst are most bullish on Vulcan Materials Company VMC. All in all, pretty impressive record. Add to that their 1-year return was whooping +49.75%. No wonder analyst love it. Construction Raw Materials sector performance ? Last one year returns was +25%. Pretty neat…Analyst got it right. Second best is Consumer Finance according to all the analyst. Highest rated in that group is American Express Company AXP which is priced at $54.75. AXP has a huge market capital and ranked #1 in their sector. P/E and PEG all look good. But what matters the most for the investors is returns. Their 1-year return was a lousy +0.96%. Consumer Finance sector performance ? Last one year returns was -1.65%. Pretty lousy…Analyst got it wrong. What did we prove here ? Analyst do not get it right all the time. However at times they do not get the credit they deserve. Predicting stock markets is no easy task, especially with multiple factors affecting the stock movement. I checked out 1-year returns for all the listed sectors in the table above. 8 out of 10 were positive. Noteworthy were Water Utility with +25.94% returns, Aero & Defense with +23.01% and Energy Services with +15.21% returns. Conclusion: Bashing the analyst for getting is wrong is always one of the favorite things to do for all kinds of investors. You and me need to understand that analyst do not get it right all the time. Obviously they wont. Otherwise they would have made billions and billions of dollars at the stock market. Analyst opinions & recommendations can be a good guide for investors to dig deep into the company stock. But it should not be used as an indicator to trade stocks. That brings us to the million dollar question. Are you going to trust the analysts and buy the stock/sector they are most bullish on ? 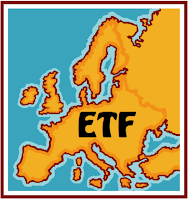 In 2004, the total foreign direct investment (FDI) in the United States (U.S.) stood at $1.5 trillion, equivalent to $2.7 trillion in today’s market value which represents approximately 10% of the total current market value of all publicly traded companies in U.S.
European companies made up 65-70% of direct investment in the U.S., with United Kingdom (UK) leading the way. 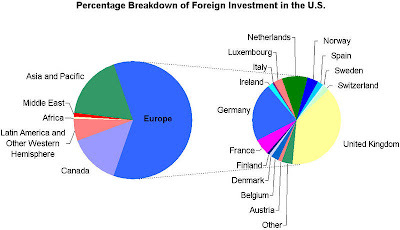 1/3rd of the total investment from Europe came from UK, with $250 billion invested in 2004. UK, Germany, Netherlands and France were the top four investors in U.S. in that particular order. Asian and the Pacific firms had the next highest level of investment in the U.S., at approximately $219 billion in 2004. Japan accounted for 75% of the investment. Chinese & Indian investments in 2004 were minimal. However that is bound to change with a number of acquistions by Chinese and Indian firms. Canada finished in the third spot. Direct investment from Latin American investors totals $86 billion. The biggest presence from South American firms came from Panama due to it financial hub status. Brazil ranked #4 behind Mexico and Venezuela respectively. Investment from Africa and the Middle East were less than $10 billion, only 1-2% of the total foreign investment. Israel was the largest investor from the Middle East, with some $4.1 billion in investments. Kuwait follows with $1.2 billion. 1/3rd of FDI in the U.S. is held in the manufacturing sector. 14% of FDI is invested in the financial services sector. Asian and Pacific FDI holdings in the U.S. manufacturing sector amounted to 12.3% in 2004. Creates New Jobs: U.S. affiliates of foreign companies employ 5.3 million U.S. workers. Boosts Wages: U.S. affiliates of foreign companies tend to pay higher wages than U.S. companies. Foreign companies support an annual U.S. payroll of $318 billion. Some studies have found that foreign companies have paid wages in the past that were as much as 15% higher on average than wages paid by U.S. companies. Strengthens U.S. Manufacturing: 41% of the jobs related to U.S. affiliates of foreign companies are in the manufacturing sector. Brings in New Research, Technology, and Skills: Affiliates of foreign companies spent $30 billion on research and development in 2003 and $109 billion on plants and equipment. Contributes to Rising U.S. Productivity: The increased investment and competition from FDI leads to higher productivity growth, a key ingredient that increases U.S. competitiveness abroad and raises living standards at home. Contributes to U.S. Tax Revenues: In 2002, foreign affiliates paid $17.8 billion in taxes, which represented 12% of U.S. corporate tax revenues. Increase U.S. Exports: U.S. companies can use multinationals’ distribution networks and knowledge about foreign tastes to export into new markets. Approximately 21% of all U.S. exports come from U.S. subsidiaries of foreign companies. Helps Keep U.S. Interest Rates Low: The inflow of foreign capital also decreases the cost of borrowing money for domestic entrepreneurs, especially in the small- to medium-sized enterprise sector. Acquisition by Lenovo, the largest personal computer company in China, of IBM’s personal computer and laptop unit. State-owned China National Offshore Oil Corporation’s attempted acquisition of UNOCAL. State-owned Dubai Ports World’s planned acquisition of P&O, the operator of many US ports.